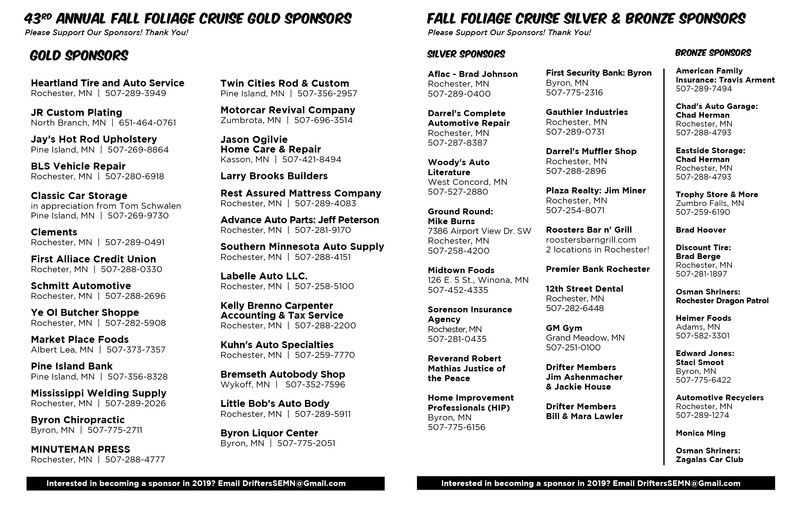 Location: Fall cruise beginning and ending at the Eagles Club, 917 15th Ave SE, Rochester MN. There will be games, food and oldies music. Food tickets are $6 each and includes burger, chips, salad, soda. Additional game tickets are $5 each or 3 for $10. 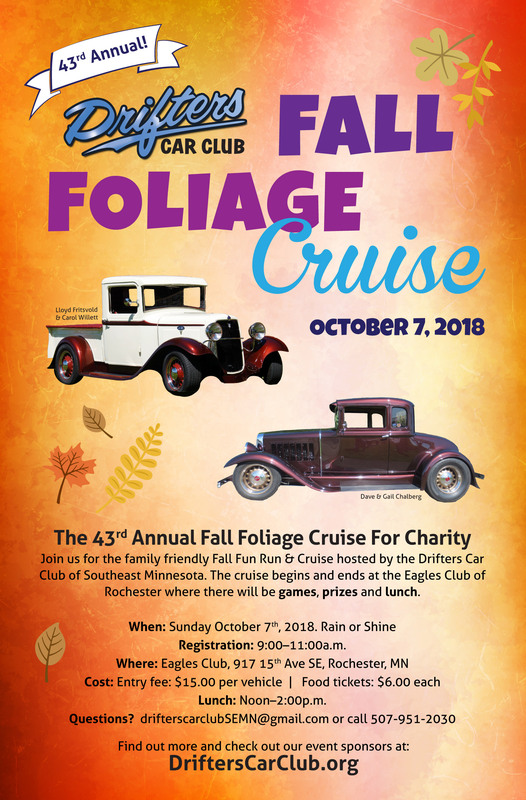 Please Note: You will be asked to sign a standard disclaimer before participating on the 2018 Fall Foliage Cruise. 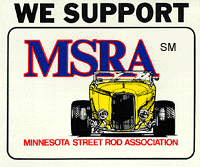 2018 Charities: Event proceeds will be donated to: Two $1,000 scholarships to RCTC Auto Technician Program and remainder to ABC. Canned food donations will also gladly be accepted at point of registration for Channel One Regional Foodbank. Thank You!